If you are new to SD540C, please refer to this page for related information, and save this URL for future reference. This zip has 'user' folder, copy contents of 'user' folder to your wpilib/user folder. (if there is a conflict with existing files, replace them with newly downloaded files). There is provision to attach two limit switches, High and Low. Connect them to bottom left pins as in picture above. (Read more about Normally Open vs Normally Closed in the mindsensors Configuration Panel section below). We have a blog post All About Limit Switches. The SD540C comes with 1/2 inch long screws. 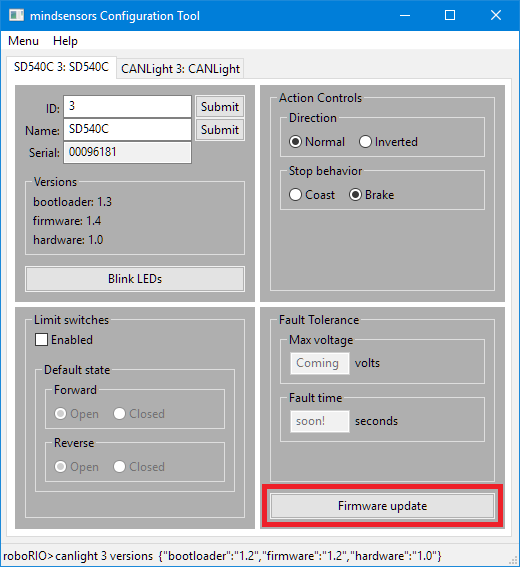 This software can be used to change the ID, name, limit switch settings, invertedness, and stop behavior of an SD540C. It can also be used to update the device's firmware. Read the blog post for details on how to use it. 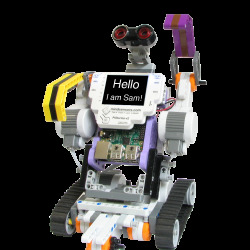 SD540C uses CAN protocol to communicate with the roboRIO. 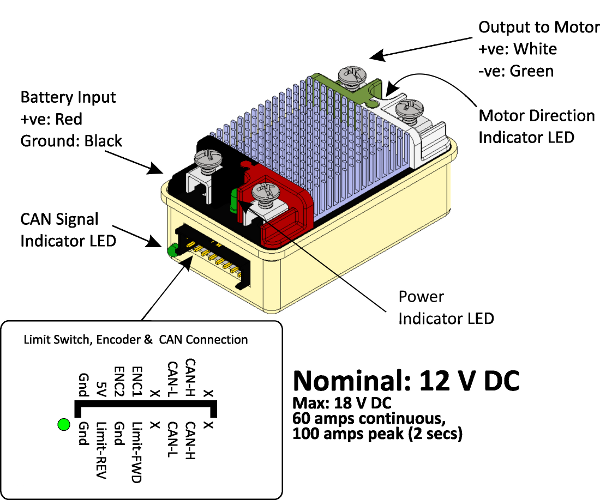 Note: CAN requires a 120 ohm terminating resistor to ensure signal integrity, especially over distances. See the blog post for detailed information on CAN and network topologies. This LED blinks quickly when no CAN devices are connected. It turns off if it is connected to the roboRIO and the driver station is open. 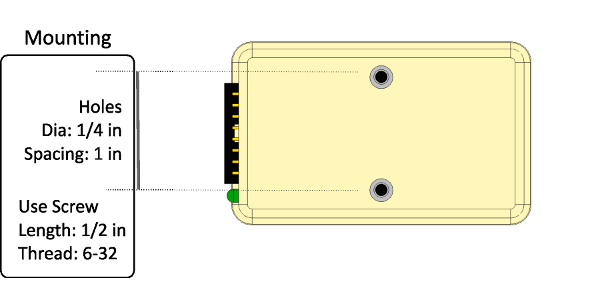 Dimensions: length: 2.7", width: 1.6", height: 1.2"